Welcome back to another installment of the MR Timbers Featured Project Series! Today, we’ll highlight a home whose interior was designed by Cocobello Interiors – a boutique design firm that is a staple within the Twin Cities area. We’ll offer up some background on Cocobello Interiors and what makes them one of the most trusted design firms in the area. 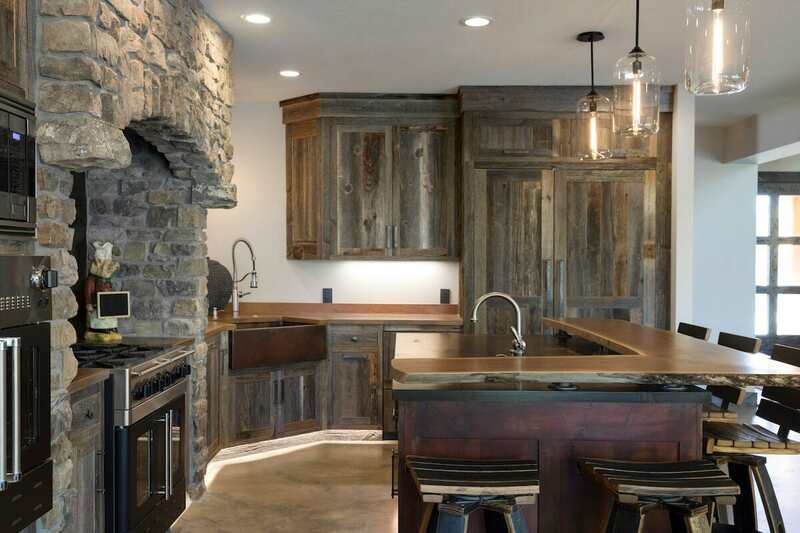 Then, we’ll highlight one of the recent homes they designed using our very own weathered gray barn wood. Led by Marriane Buckman, Cocobello Interiors has made a name for itself by using light, color, and balance to create exceptional spaces that are unique to each home. With an emphasis on quality materials, Cocobello Interiors has helped sculpt interiors that impress and wow since 2003. After initially opening up as a boutique home decor store in Hudson, Wisconsin, Marriane ended up starting her full-fledged design business a month later after word traveled of her keen attention to detail and expertise in home design. She is a member of the American Society of Interior Designers, meaning she has the training and knowledge necessary to take on projects from start to finish on her own. Marianne is a believer in keeping the health, safety, and welfare of her clients in mind with every job she takes on — this belief is echoed by the contractors she hires. If you’re looking to revamp your home, or are looking for an interior designer to bring a new space to life, we cannot recommend Cocobello Interiors enough. Starting in one of the bedrooms, you’ll get a great representation about what this home is all about. 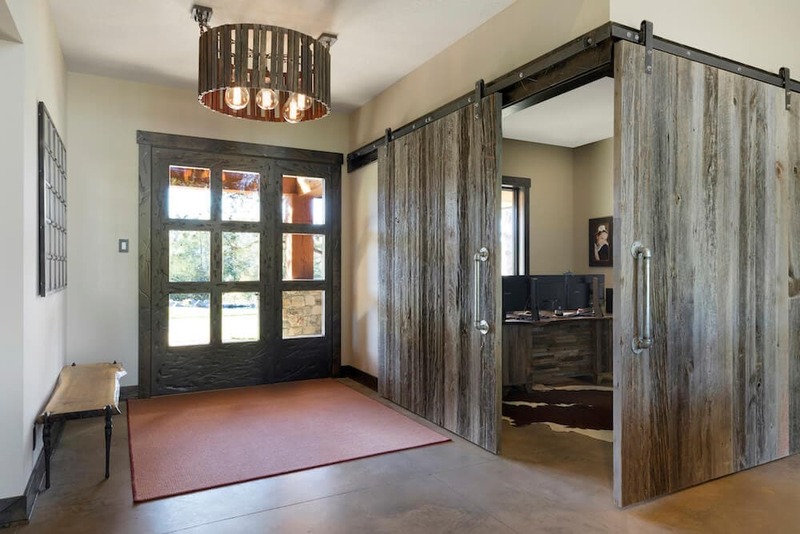 The weathered gray wood is a common theme throughout the interior, as you’ll notice the gorgeous weathered gray ceiling, wooden bed frame, doors, and even the table at the end of the bed. Tying the rustic, ranch theme together are the decor pillows on the bed. 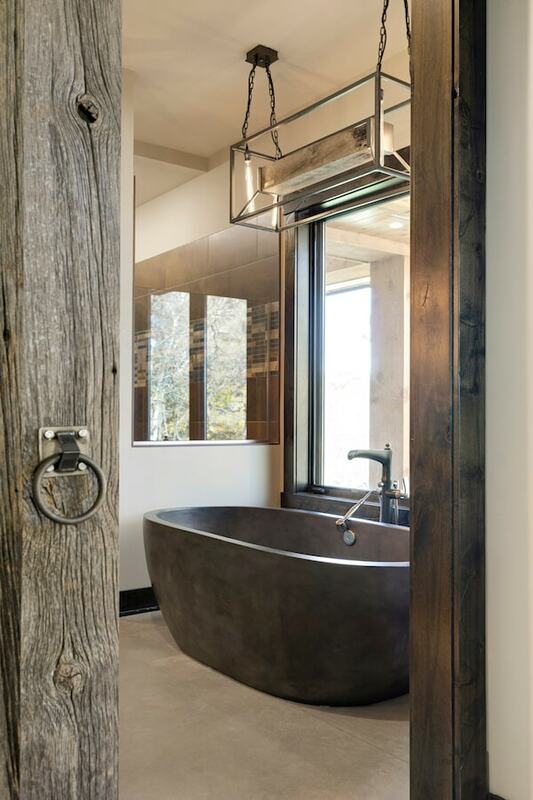 Moving on to the bathroom which is guarded by two large wooden timbers, we see one of the finest features of the home: the bathtub. Simple in design but modern this tub is the ultimate relaxation spot. Overall, the home creates a warm ambiance with the tones, colors, and materials, and nothing exemplifies that better than this bathtub. This looks like the perfect spot to unwind after a long day. 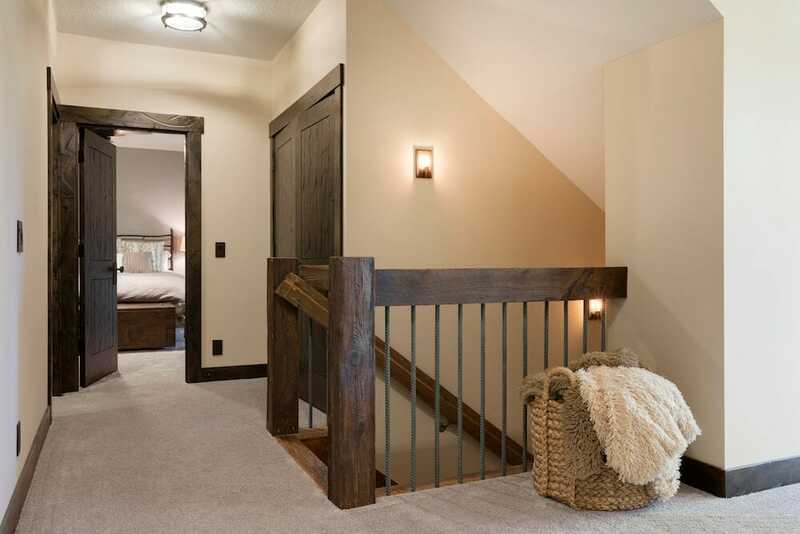 As previously mentioned, wood is a common theme throughout the home, and the staircase was a great detail to incorporate wood. 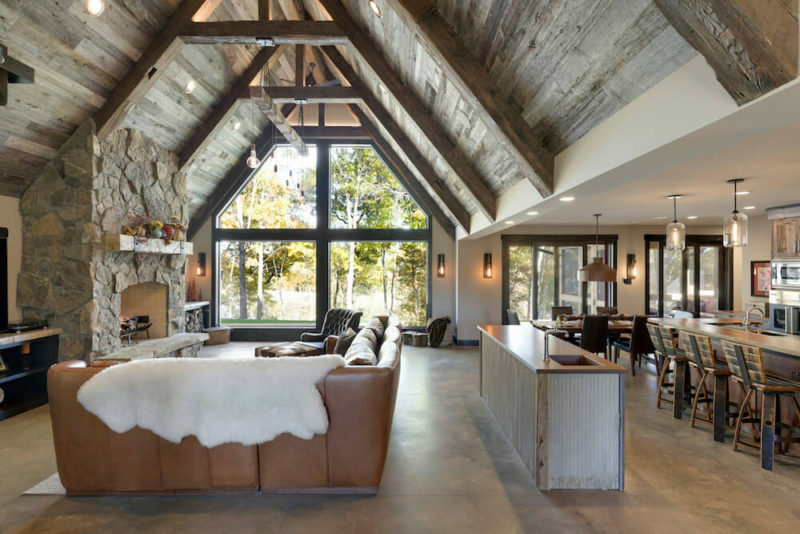 The steps, railing, and guard rails are all wood, except for the steel rods, which are still in line with the rustic feel of the home. 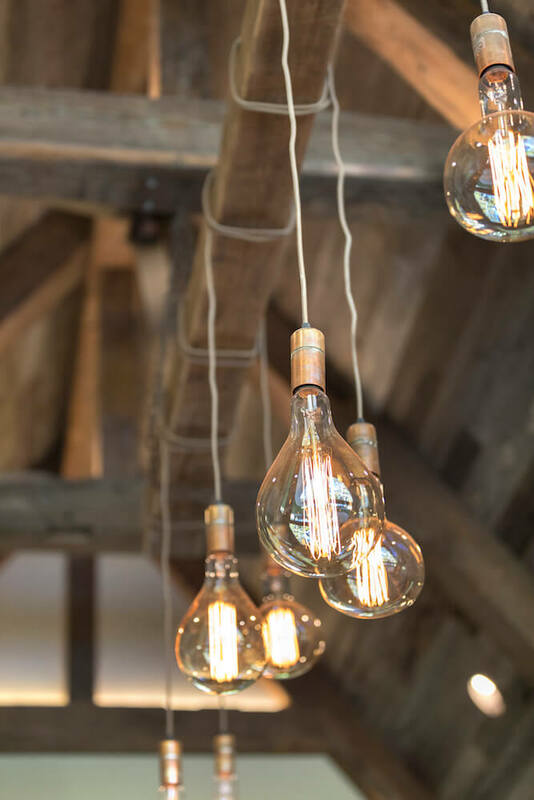 When it comes to interior design, the little details can make all the difference, and these lights illustrate this point. They were the perfect choice for this home — no doubt about it. You knew the kitchen in this home was going to be amazing. There are plenty of details that go into this area of the home, all of which were carefully selected. The brick border around the oven and stove. The copper-colored island and countertops with the red base. And of course, the weathered gray cabinetry to tie it all together. 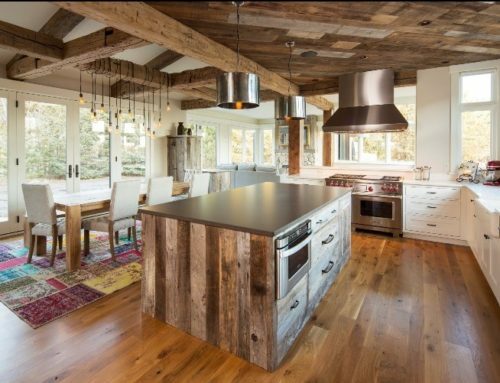 All-in-all, the perfect place to cook with enough space to entertain. The best part about the living room (other than the two labs chilling)? Definitely the fireplace. You don’t see them made like that too often anymore.